It is making a comeback so lets’ be ready. 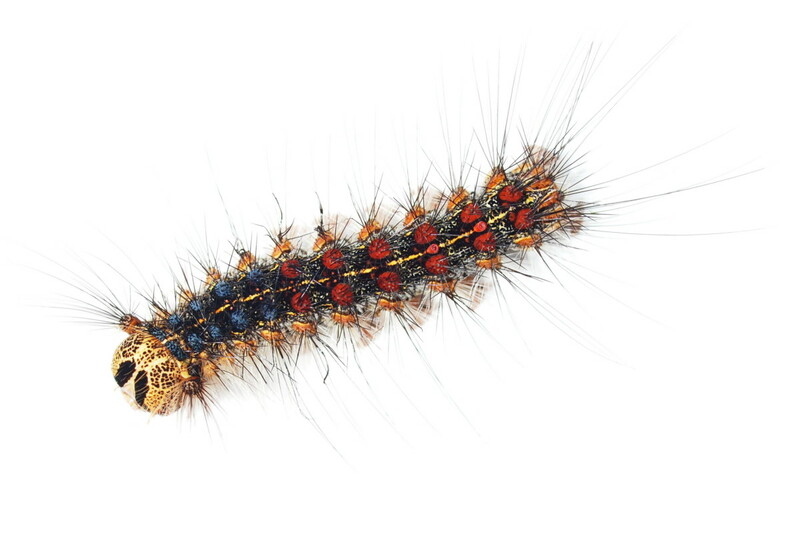 This resurgent pest is devastating in the caterpillar or larvae stage. It begins after the Winter Moth larvae have dropped so it may require a second visit from Bug Busters. You may remember the tattered leaves and armies of hairy, blue and red caterpillars from the 1980’s. You could hear them munching at night. They have many deciduous hosts, but the oaks were targeted the most.